***DISCLAIMER: I was provided product from ﻿Olbas﻿ for my review. ​All thoughts are strictly my own. I am not a medical professional (nor do I claim to be) - this review does not make medical claims and please seek medical advice before treating medical conditions. It is no secret that with all my training, running, and obstacle course racing that I get my fair share of aches, pains, and occasional ailments. As I am not one that is a fan of taking typical pain medications, I often use more natural or herbal remedies to help when those aches and pains come up. I have dabbed into the world of aromatherapy over the past few months and I still have so much to learn and experiment with, so I was beyond excited when the team at Olbas﻿ gave me the opportunity to check out some of their products. Between my seasonal allergies (hello one of the worst pollen seasons in Georgia on record) and my body taking a beating with training recently, I was able to try out the Olbas Original Aromatherapy Oil to rub on sore muscles and inhale to help my breathing passages as well as Olbas Analgesic Salve to apply in a more solid form. I am probably most familiar with aromatherapy in its oil state. Between my massage therapist utilizing aromatherapy massage oil in my treatment and also using a diffusion regularly, this is definitely the form that I have used the most. Currently I use essential oils with more sleep or headache benefits, however the benefits of Olbas Oil really intrigued me and definitely looked like a product that I could benefit from. Benefits of Olbas Oil Inhalation: Olbas Oil is a completely natural essential oil formula that delivers invigorating and soothing sensations to the nasal and bronchial areas. Runners, cyclists and other sports enthusiasts praise the value of Olbas Oil. Massaging with Olbas Oil helps loosen muscles and make them supple, while inhaling Olbas vapors may help support endurance and performance. The two main uses for Olbas Oil are via inhalation and massage (much like what I have experienced before). Sports/Exercise: Massage Olbas Oil into muscle areas BEFORE jogging, bicycling, or workouts to help relax tight muscles. Apply AFTER sports or exercise and massage gently to help reduce soreness and soothe overworked muscles. Olbas Oil offers athletes and non-athletes users alike a number of benefits. I absolutely love how versatile Olbas Oil is and that I can use it for both inhalation and massage alike. 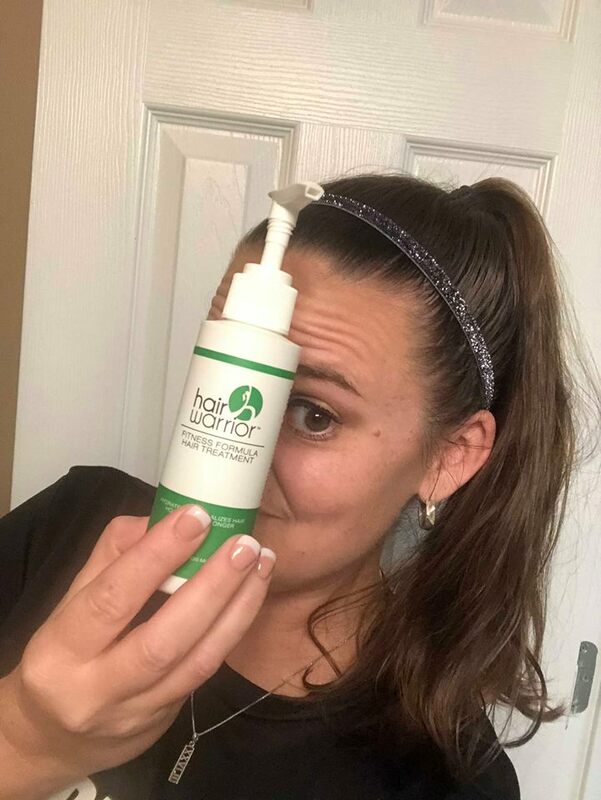 With a convenient sized bottle, I am able to keep it on hand to open my breathing and also to soothe sore muscles before or after crushing a workout. To be honest, I am more likely to use the Olbas Oil as a inhalation product because as I am on the go so much, I don't always have access to make a compress or soak. Don't get me wrong, there are evenings that after a killer run, my feet will love a nice soak or rubbed into my calf muscles. The blend of peppermint, eucalyptus, juniper and wintergreen are the perfect blend that not only has a great fresh and crisp scent, but also performs when needed. The Oblas product line consists of many different essential oil and remedy products. The one that really intreguied me though was the Olbas Analgesic Salve because of its variety of uses that would benefit my day-to-day life. 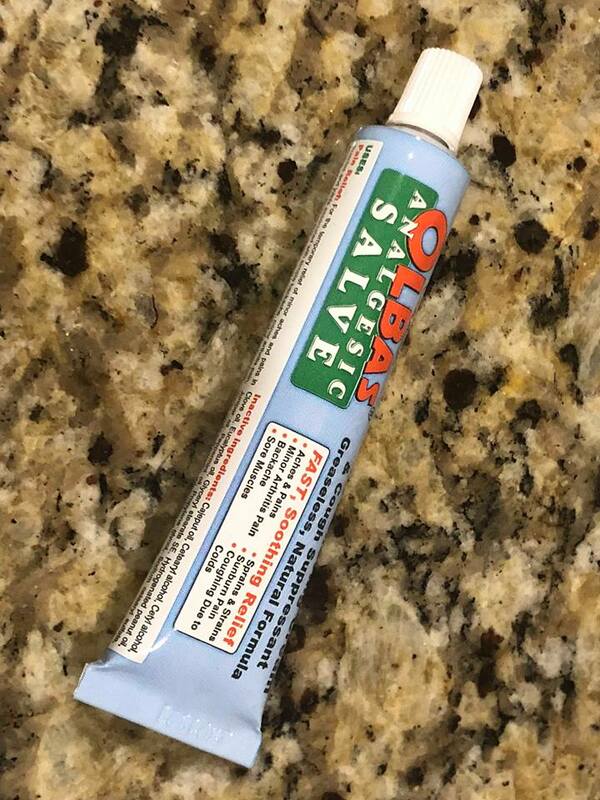 Unlike traditional essential oils, Olbas Analgesic Salve is a cream base product so it is great for targeted pain relief and has vapor action to help with coughing. What I liked about Olbas Analgesic Salve is that it can be used as a pain relief rub as well as cough relief. With the Atlanta pollen counts reaching record highs almost every single day, I am constantly congested this time of year. I absolutely loved using the Olbas Analgesic Salve as a cough relief - it was easy to apply and worked nicely. While it did have an odor (due to the active ingredients of Menthol, peppermint oil, wntergreen oil and juniper oil), it wasn't a overly powerful smell nor a "chemically" smell. It was fresh and helped open my nasal passages. 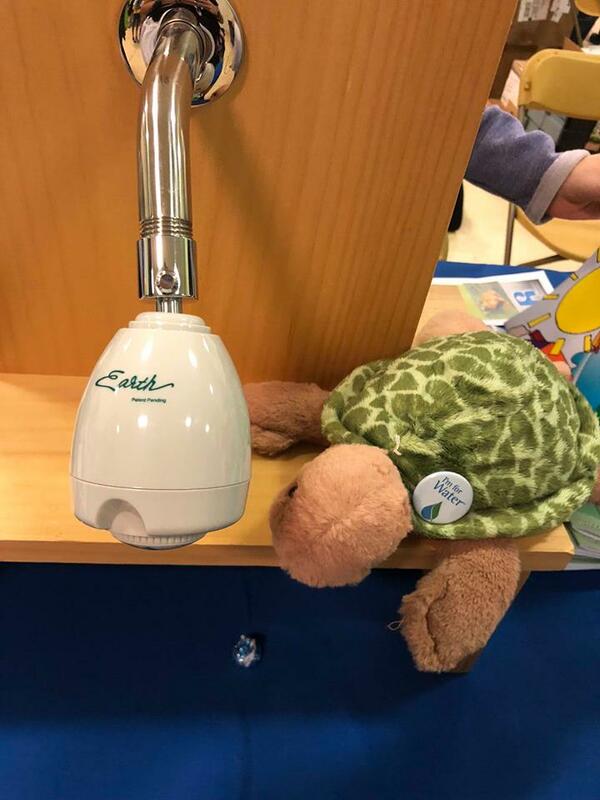 I might have only had the chance to check out two of the Olbas product right now, but I am anxious to try out some of the other great products such as their inhaler and the Olbas Herbal Bath. One thing that I have learned over the past few years is that my body takes a beating and I have to take care of it and give it the love that it deserves. A huge thank you again to the team at Olbas for giving me the opportunity to check out part of their product line and learning a little more about the different ways aromatherapy can benefit me. 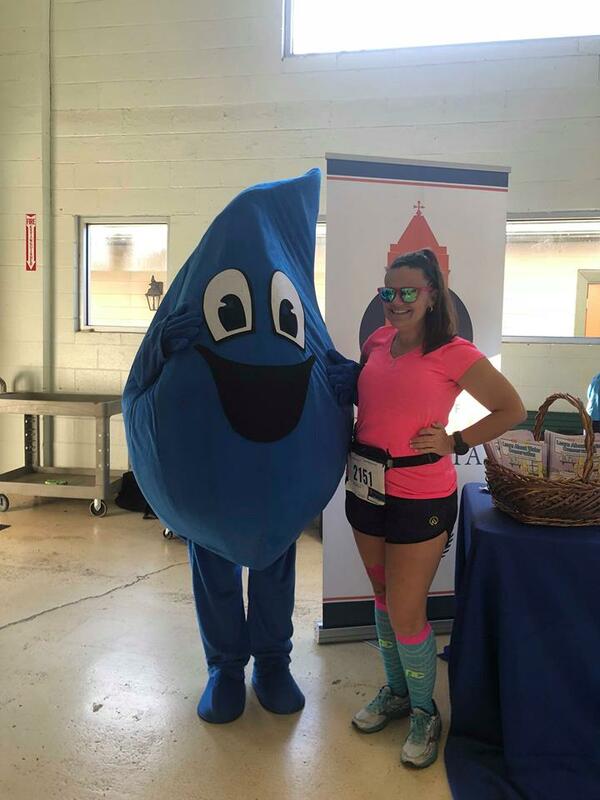 Over the past few years I have had a number of friends run and absolutely rave about the Water Drop Dash 5K in Roswell, GA. 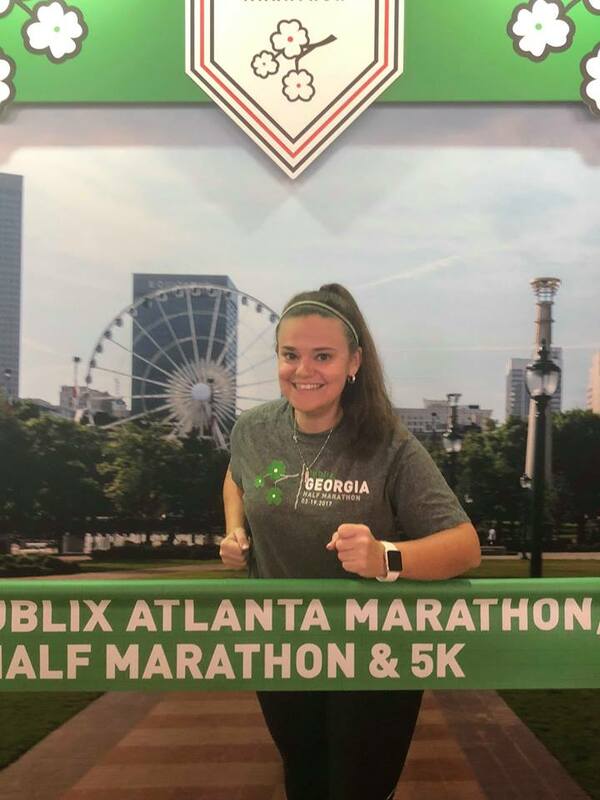 I have never had the chance to run it because I am either out of town or it is the day before the Publix Atlanta Half Marathon and I am usually volunteering that morning at packet pick-up. Well, last year things happened to fall that Water Drop Dash 5K was a week later which meant I FINALLY got to run it. It was a great race and one that I definitely wanted to run again this year. Thankfully, things worked out perfectly again and I was able to secure it on my race schedule. 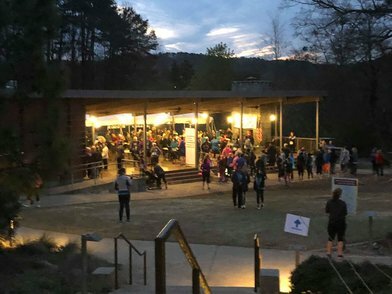 The Water Drop Dash 5K course is the best parts of one of the flattest 10K courses in the area - the Chattahoochee Challenge 10K which is held in February and and Possum Trot 10K in June where is a PR course for a lot of runners in the area. The course is a very flat course for the Atlanta area and runs along the Chattahoochee River in Roswell, GA. While that course only really has one hill, the Water Drop Dash doesn't included that hill! 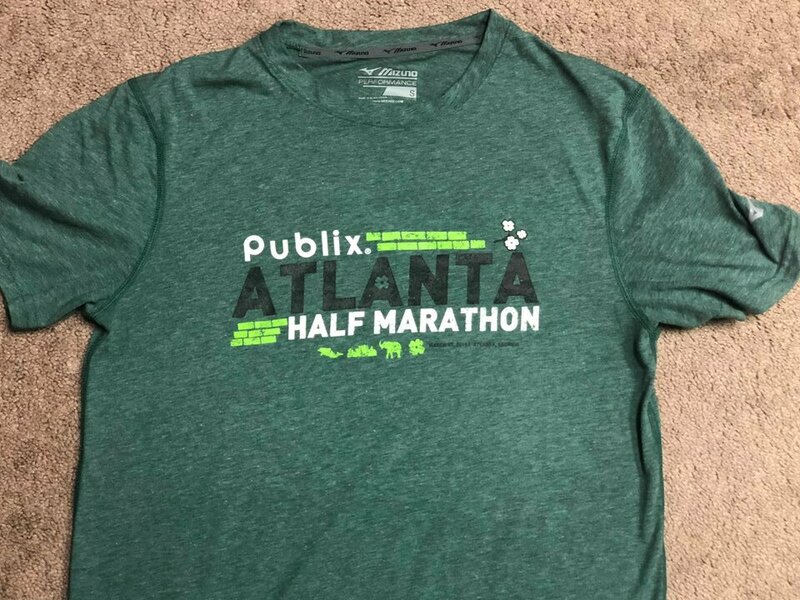 While I tend to run better on hills for some dumb reason, I am excited to get to run a flat one after all the hills a few days before at Publix Georgia Half Marathon. Momma K and I got to the race pretty early, so we were able to park at the Chattahoochee Nature Center which is the most conveniently located to the start/finish area. The only down side to this lot is that you cannot leave until the race is over since exit is at the finish line. Other parking options included parking at a local church and walking up to the start area which is about a mile away. Once parked, we headed to the (indoor) restroom and to get our bibs at the pavilion. I love nothing more than an one-time race start and that is what we got. Even though there were a few stragglers still walking out to the start line, they were sent off to the side of the road to finish getting to the start pad and we took off as scheduled. I hate to be rude, but I was on time to the start line and listened to the director's instructions when they told us to start heading out. What a picture perfect race course! We had all lanes to run in and even when the lanes were split for the out-n-back portion, it was still spacious to run in. In case you can't tell, I despise crowded race courses. There were little to no hills at all - maybe some slight elevation changes, but not like HILLS. After starting you ran about two miles out and turned around at the "Shoot the 'Hooch" landing and headed back to the finish line. The weather was just about perfect as well. While it felt a little cool and crisp standing a the start, once you started moving it was virtually perfect. I took it pretty easy today and didn't really push too hard. I was mainly focusing on running a controlled and even pace as a maintenance run. Despite not pushing, I still ended up with my fastest 5K of the year. Y'all! This was AMAZING! The Water Drop Dash is all about water conservation effort and the post race area was like home improvement playground! 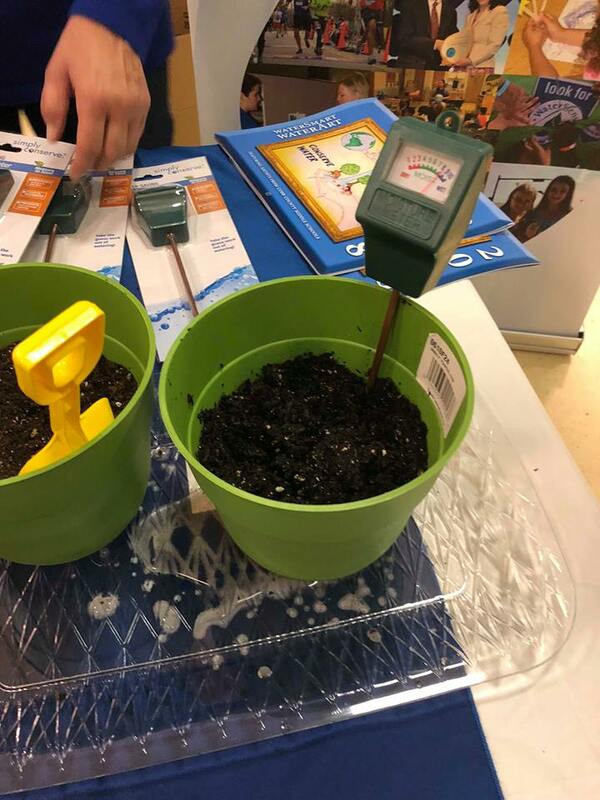 You name the water conservation gadget and they had it....FREE! We scored freebies like shower heads, hose nozzles, shower timers, toilet flappers, house plant watering tools and more. So much AMAZING free stuff and knowledge gained from this mini-expo! My list of home improvement projects has grown vastly, but it will help conserve water and help all of earth's creatures. SO MUCH FUN! I can't tell you the last time that I raved about a local 5K like this! It was great! I really hope that this race falls the same way as it did this year because this is a true hidden gem of metro-Atlanta races and I really want to run this one again next year and hopefully get to push for that 5K PR! ***DISCLAIMER: I was provided a set of Travelwise Packing Cubes from ﻿EatSmart Products﻿ for my review. ​All thoughts are strictly my own. Happy April! Spring break season is wrapping up, but on the horizon are prime race weekends and summer vacations. With a lot of racecations and travel on the horizon for me this spring and summer, I will be packing my suitcases quite a bit. I was pretty stoked to get to try out some gear to make my packing a bit easier with Travelwise Packing Cubes (by EatSmart). Confession: I tend to over-pack - we will just say that I like to take ALL the things with me when I travel. Packing in general can get chaotic, so organization is key. Between my racecations and other travel adventures, I plan on using the Travelwise Packing Cubes a lot this year. Travelwise Packing Cubes have a lot of great features that make them ideal for various travel needs. 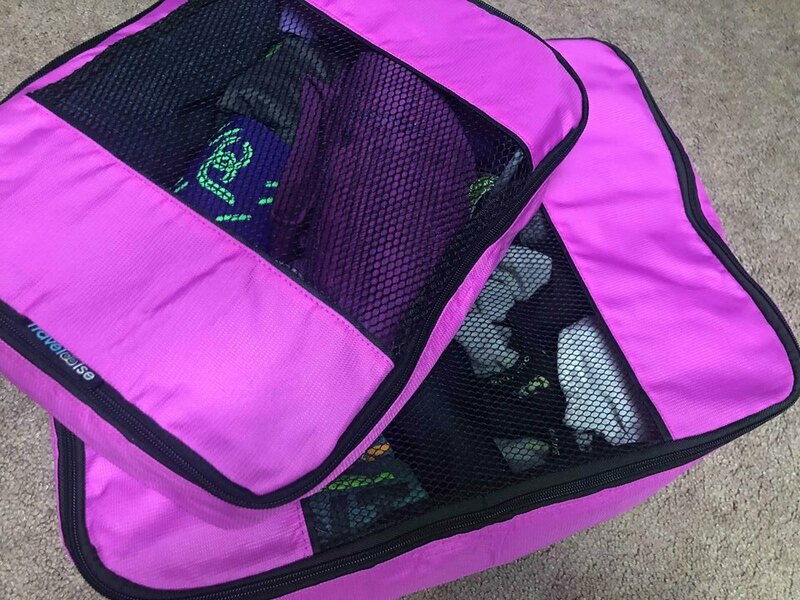 Travelwise Packing Cubes are available in 8 color choices including black, lavender, lime green, red and my signature color, pink. A lot of travel organizers are only offered in limited colors like black or grey. 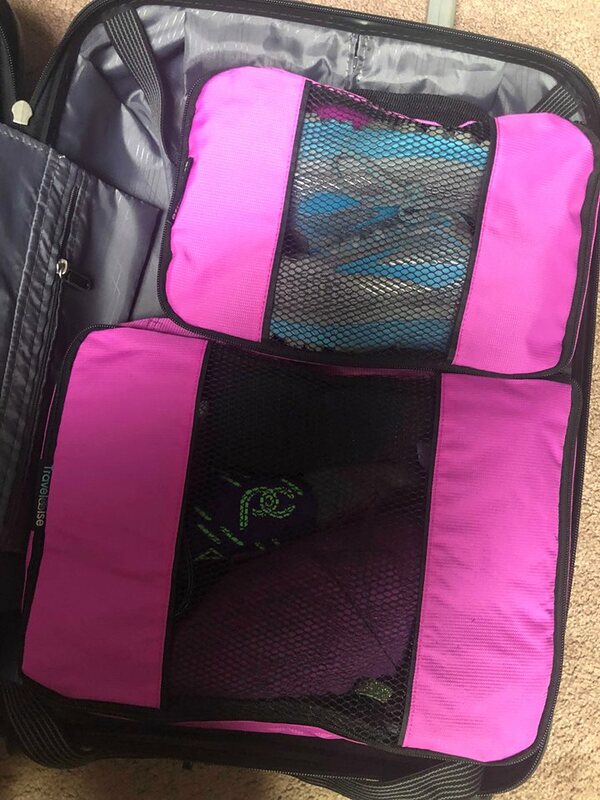 What I love about so many color choices for the Travelwise Packing Cubes is that if you purchase multiple sets in different colors, you can organize your luggage a little better by putting each person's things in a certain color or color coding your race stuff in one color and your casual attire in another color. That's the beauty of organizing - you can do what works for YOU! My Travelwise Packing Cubes arrived just in time for my recent racecation trip to Savannah. I used one of the smaller cubes, one large cube and the shoe cube to pack for the weekend. 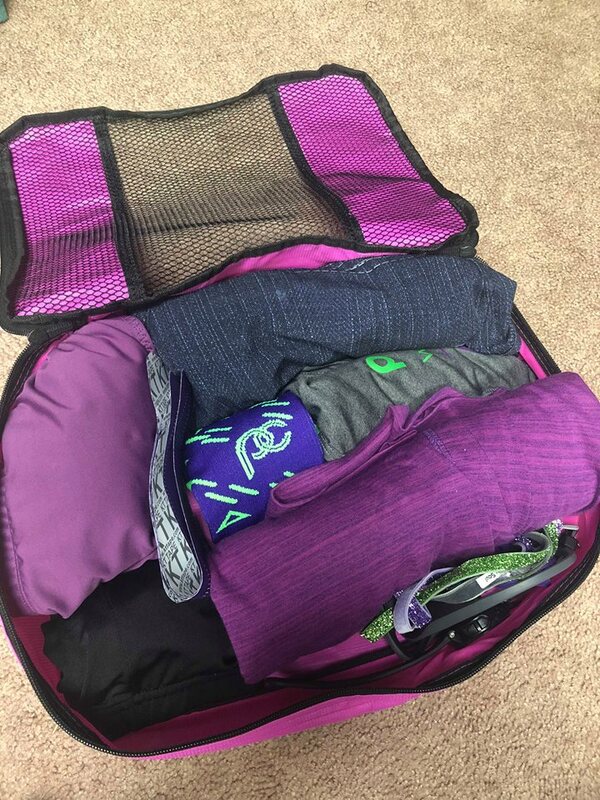 Using the packing tips included with the Travelwise Packing Cubes, I had my suitcase packed easily and organized. My race clothes and accessories went into the smaller cube. My other clothes for the weekend went into a large cube and my running shoes went into the shoe cube. Rather than having clothes thrown into my suitcase with no rhyme or reason, everything was carefully placed into the cubes and I could see exactly what I was packing. Upon arriving to the hotel, my items were still organized nicely and I basically had "drawers" for my attire for the weekend. While this was just a long weekend, it was nice knowing where everything was. 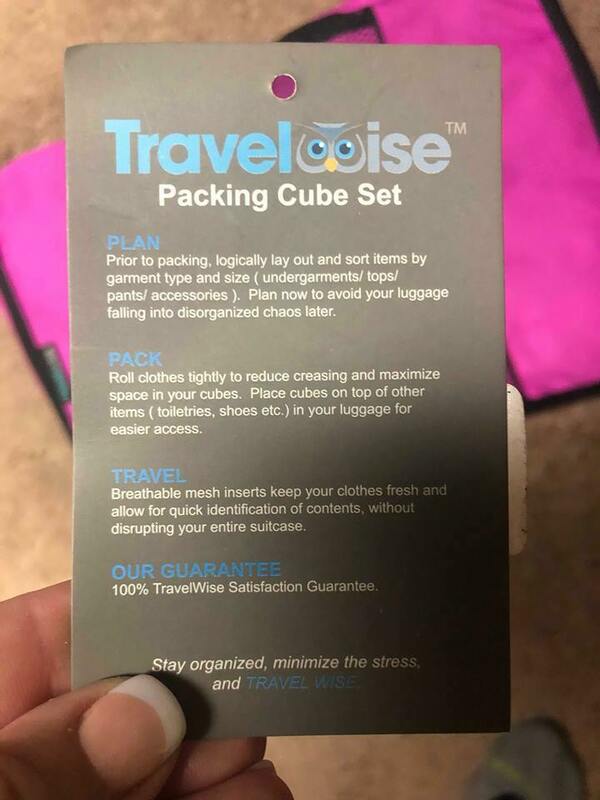 If I were going away on a longer trip, I would definitely use a cube for shirts, one for bottoms, another for undergarments, etc. 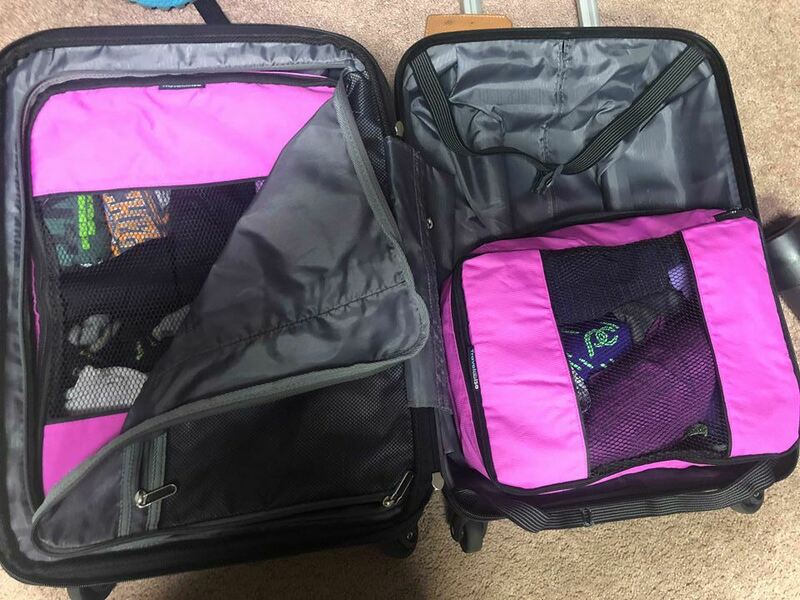 Thank you again to Travelwisep Packing Cubes for helping me have "organized chaos" as I travel this spring and summer (and beyond). I am eyeing a another color set of Travelwise Packing Cubes to help in my upcoming travels as well. No matter if you are traveling for races, pleasure, or business, packing organization can benefit us all. These packing cubes are definitely going to be a staple in all of my future packing and races! 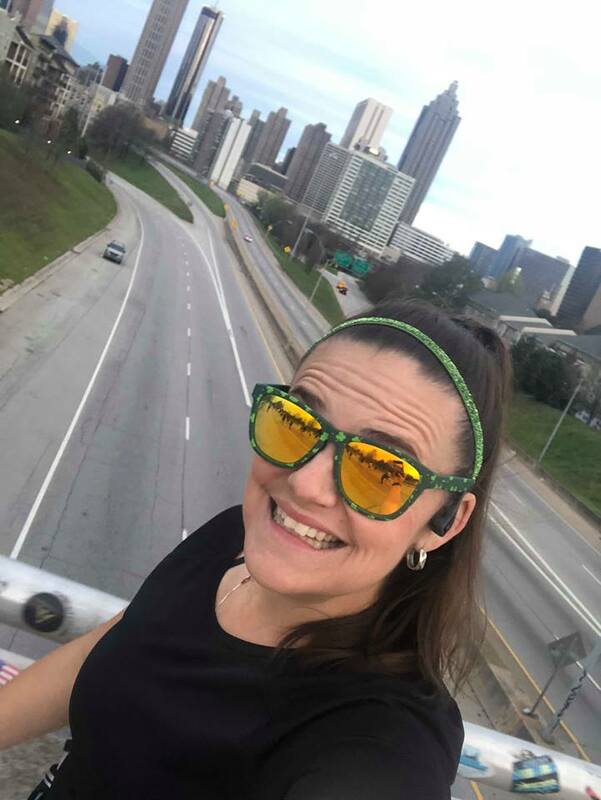 I cannot believe it was already time for the 2019 Publix Atlanta Marathon and 1/2 Marathon (renamed from Publix Georgia Marathon & 1/2 Marathon in 2019)! 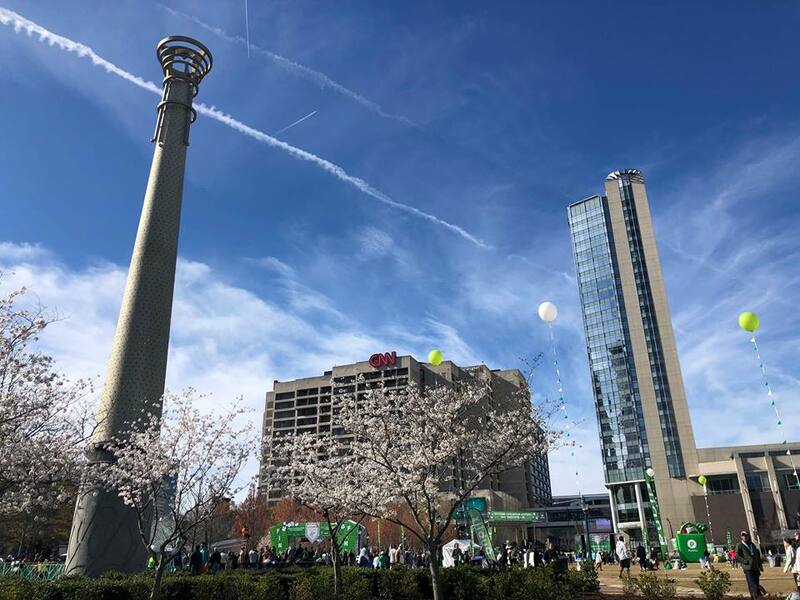 Doesn't it seem like we just wrapped up Publix Atlanta Marathon weekend 2018? Dang, time flew by! To start off the weekend, Momma K and I headed down to Atlantic Station to pick up our bibs on Saturday. Usually we volunteer at packet pickup, but this year was a little different. While packet pickup was fairly small with mainly bib and shirt pickup along with a few little vendor/sponsor areas and some Atlanta Track Club merchandise, we had a good time running into a few friends and taking advantage of a few photo ops. I honestly miss the days of the actual expo with different vendors and activities, but what was nice is that parking was free (for up to 2 hours) versus $10+ in some areas of downtown where the expo was previously. While at packet pickup you could tell what runners were likely running their first half marathon or marathon tomorrow, so it was fun to share the excitement with them. Like I mentioned, this year was a little different. This was my 8th year running this race and every year I have stayed downtown near the start line before the race. Instead of a short walk to the start line, I had to deal with logistics of a 40 minute drive and parking on race morning. After a good night's sleep, it was time to get the show on the road (before 5am)! Seriously, this is one of my favorite races of the year, so I was pretty excited to get ready on race morning...even with a 4:30am wake up. We arrived to Pemberton Place around 6am which was about an hour before start time. Georgia weather has been beyond weird this year, and winter decided to try to come back today so Momma K and I stayed in the car until it was just about necessary to head to the corrals. I waited in the corral for about 15-20 minutes total from the time that I entered to the time that I crossed the start line so that wasn't bad at all. I got to hang out with my friends Danielle and Jennifer which also made time go by faster. ​The corrals were really well managed with estimated pace, so I think that helped people start off properly with a few minutes between each corral. The new course this year had the half marathon and marathon start together and run together until the split at mile 13. ​Seriously, the first 100 yards if that had some "congestion" (if that), but past that I felt like I had a good amount of room to run. Just past mile 1 you pass Publix. Since they are the title sponsor, the of course have some fanfare out there for the runners. Back in the day it used to be a HUGE cheer station with tons of employees out and music pumping. While the number of spectators out has decreased at this point on the course, I had the absolute best course support when Jill showed up with HOT Krispy Kreme donuts! The funky and upbeat vibe of Little Five Points is another highlight of the course that you come to around mile 5ish. Note: even though there is a Sweet Water Brewing sign just in front of the hydration station does not mean that is what you get to drink. Wishful thinking to many runners though I am sure. ;-) As a special unexpected bonus, I ran into Kate and we got to run a bit together. We saw the photographer and were like "Oh yay! Friends photo!" I present to you the reality of our "friends photo." Just about mile 9 you head into Piedmont Park. This is usually a great spot for spectators and November Project had an awesome cheer zone set up as you enter the park. November Project seriously brings the party, positive vibes and high fives. 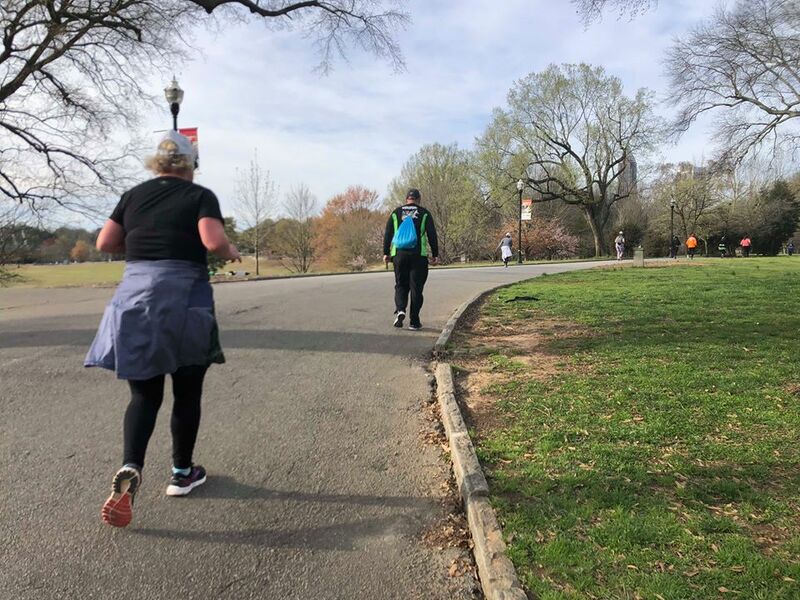 If you have ever ran the Peachtree Road Race, you are familiar with that lovely gradual downhill finish heading to Piedmont Park. Well, you get to run up that at mile 9-10 of the Publix Atlanta Half Marathon. It isn't really THAT bad, since it is gradual, but it is over a mile of gradual up hill. I had finally made my way to Georgia Tech! BOOM! I always get so happy when I enter campus! 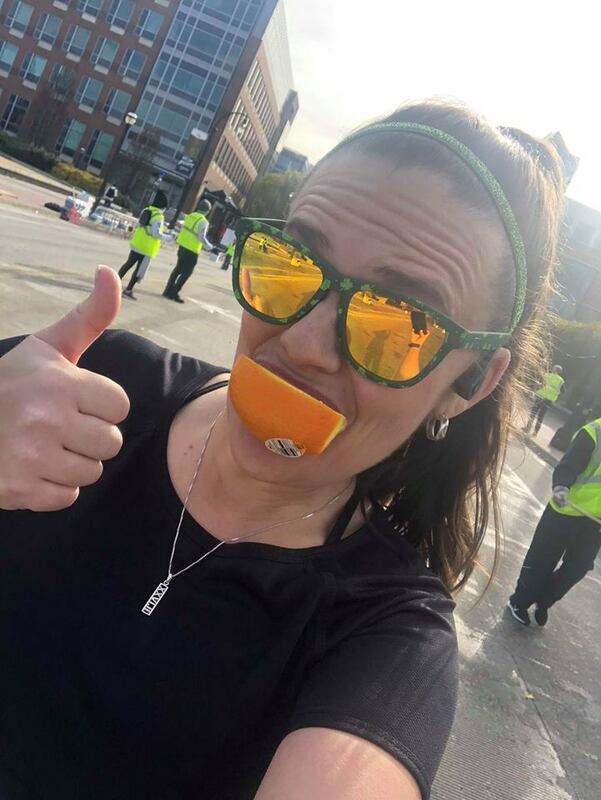 At mile 11 you pass through a final food station with orange slices and an AWESOME cheer zone by Georgia Tech! 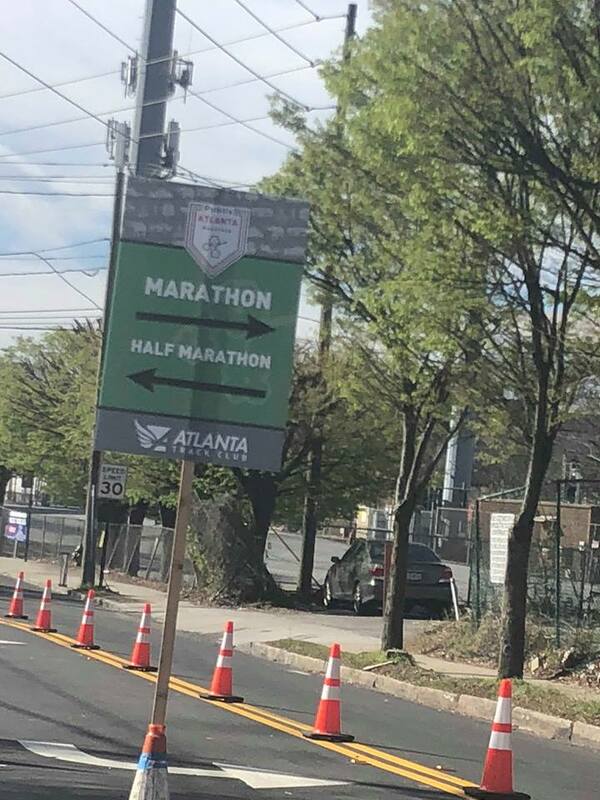 I look forward The final mile is ran on Marietta Parkway and has so much course support in that final stretch. From local radio stations to running clubs to runners lining the way to cheer on other runners, it is the perfect final push that you need to finish strong. As you approach mile 13 you can hear the finish line excitement of the music, crowd, and announcers. My heart broke a bit for the marathoners near me that had to run right past the finish line at mile 13 (it was seriously about 100 yards away from them). I will gladly take this left turn and head into the finish line. ...and like THAT, my 113th lifetime half marathon and 8th Publix Atlanta Half Marathon is a wrap. It was once again a wonderful event and this is one race that I will always make sure to have circled on my calendar each year. Huge kudos to the Publix Altanta Marathon & 1/2 Marathon for providing awesome post-race runner food! Seriously though, these boxes ROCKED! Sometimes you get similar boxes at races and the food is just weird. We had a nice selection of snacks to chose from on top of our beverages of water, PowerADE, and ice cold Chocolate Milk at the finish line as well. From muffins to fruit and even string cheese! WIN! Thank you again to all of the amazing Atlanta Track Club staff, volunteers, first responders, sponsors, and fellow runners who made this morning another wonderful time! I cannot believe this was my 8th year running this race and I am already looking forward to 2020! See ya March 1, 2020! 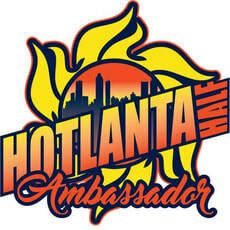 Atlanta Track Club hosts some of the absolute best races in the Atlanta area each year. The 2019 Atlanta Track Club Event Calendar has been released and there are already a number of races that I am excited to run and volunteer at in early 2019. Be sure to check out these races and get registered! Savannah Women's 1/2 Marathon Bound! Disclaimer: I am a 2019 Publix Savannah Women’s Half Marathon & 5K ambassador. 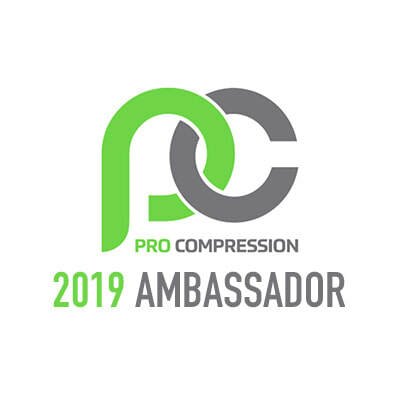 As part of my role, I have been compensated with a complimentary race entry and other race weekend amenities and race sponsor products. All opinions are my own. I can't believe it is time for Savannah Women's Half marathon & 5K weekend! Doesn't it seem like we were just starting those training runs, bundling up for winter miles, and thinking that April was still a long time away? Now it is April, Spring is in full bloom (with PERFECT running weather in the forecast), and I may or may not have made my list of places to carb-load and refuel with this weekend. If you can't tell, I am crazy excited about heading to Savannah this weekend and running the Savannah Women's Half Marathon! It is going to be an awesome weekend of running, shopping, eating, and just a great girls' weekend! In celebration of the weekend kicking off, I wanted to highlight the happenings of the weekend. Even if you aren't running and are just going to be in Savannah this weekend, there are a lot of great things to see and do in conjunction with race weekend! It's not a girls' weekend without shopping and fun, right? The first part of your Savannah Women's Half Marathon & 5K weekend starts at the Fashion Fitness Expo. Head over to the Hilton Savannah DeSoto to pick up your race goodies, food samplings, shopping, and more! 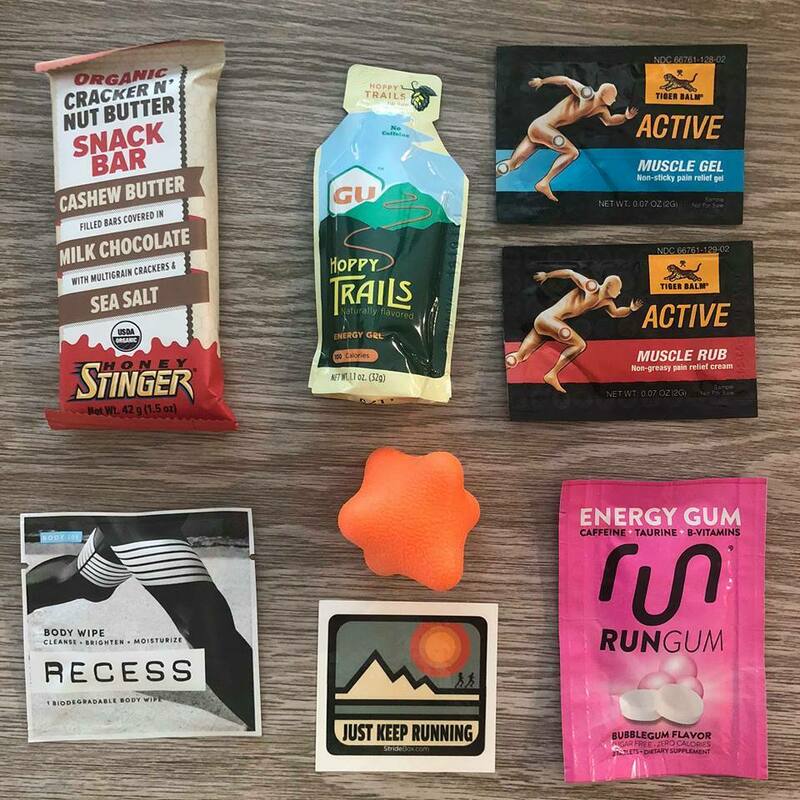 I always love a good race expo, but what I am most excited about for this weekend is that the expo not only features their sponsor vendors, they also a variety of local vendors to check out. Not only can you scope out some cool Savannah based businesses at the expo, they visit their locations while you visit Savannah during the weekend. I know one place that I certainly plan to check out is Nourish Natural Bath Products! If you haven't heard of them, check out my review of their productsand stop by their booth and shop this weekend! The Fashion and Fitness Expo is FREE and available to the public, so bring your friends and family to join the fun! This is what you have trained for! Lace up those running shoes and get ready for a beautiful 13.1 mile or 3.1 mile tour of some of Savannah's most beautiful and scenic areas with a picturesque finish line at Forsyth Park Fountain. For more information on race day including course map, head to theSavannah Women's Half Marathon & 5K website. Once you cross the finish line, grab your girlfriends and celebrate your accomplishments ​at the post-race party in Forsyth Park featuring live music, beverages, awards and more! Spectators are welcome too, so grab your squad and head to Forsyth Park and CELEBRATE! Looking to unwind after crushing the half marathon or 5K on Saturday? Maybe you just need to relax a bit after sightseeing in Savannah this weekend. 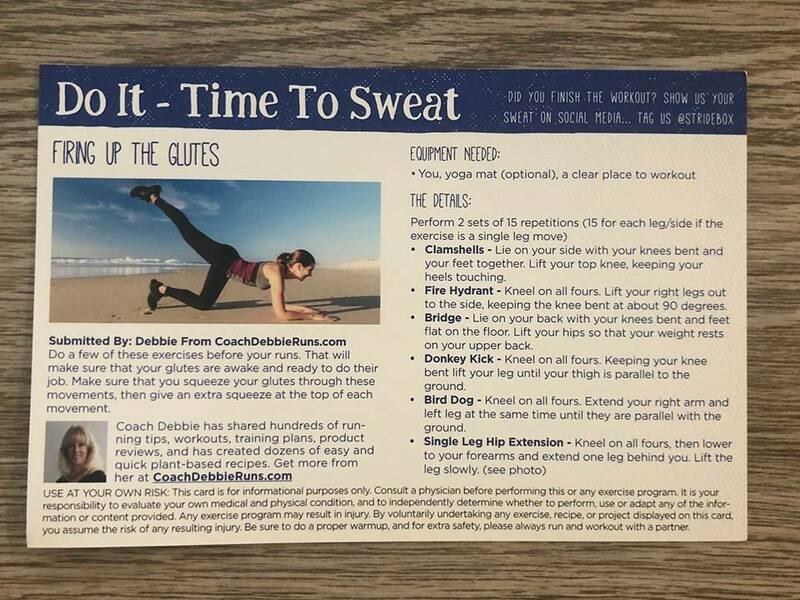 Your body deserves a little TLC and there is nothing like a good yoga session to help stretch those muscles and just let your body and mind go "ahhhhhhhhhhhh". Join Dancing Dogs Yoga at Ellis Square for a bit of stretching, relaxing, and just let your body recover with a FREE yoga session! Who can pass up FREE yoga? I have my mat packed and I am ready to go stretch it out on Sunday! Don't worry, newbies are totally welcome! Who knows, maybe you will find a new hobby? There is definitely a lot of great things to see and do this weekend! It will certainly be a busy weekend, but a good kind of busy! I hope to see some of you in Savannah this weekend! You will likely be spotting me at one of the race weekend events, shopping downtown at Nourish, or stuffing my face at Leopold's Ice Cream. When you think of parts of your body that you need to take care of while working out or running, what do you think of? Most people probably think of things like legs, arms, feet, knees, etc. How many of us think about our hair? Between my trips to the sauna, getting drenched in sweat during a long run or even being caked in Georgia red clay from obstacle course races, my hair takes an absolute beating most days of the week. Honestly, I am not a super vain person - obviously if getting covered in mud is my idea of a fun Saturday. However, I do like to take care of my body as much as possible and help it bounce back after those tough workouts. 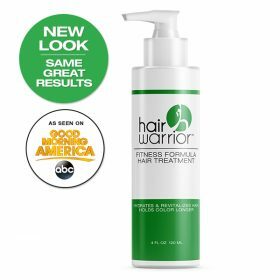 I had really never thought about taking better care of my hair as part of my fitness regimen until I was recently introduced to Hair Warrior. Hair Warrior is a hair product that works with your body heat to smooth, protect and condition each strand to prevent damage, reduce frizziness and strengthen your hair as you workout. Quinoa is a botanical that adds body to your hair naturally. Quinoa’s unique amino acid chain helps to repair damage to the hair shaft, strengthening and protecting each strand. Bamboo and Pro-Vitamin B5 help to re-hydrate damaged and processed hair – reducing split ends, smoothing strands and sealing in moisture. Organic Argan Oil, Abyssinian Oil and Jojoba Seed Oil are used to moisturize hair and add natural shine, while also preventing color oxidation. Green Tea and Rosemary Extract act as antioxidants while also protecting hair from environmental stresses. Eucalyptus rejuvenates the hair – invigorating the scalp and providing natural antibacterial and antiseptic protection. Hair Warrior is free from parabans, glutens and formaldehyde and is a vegan friendly product. 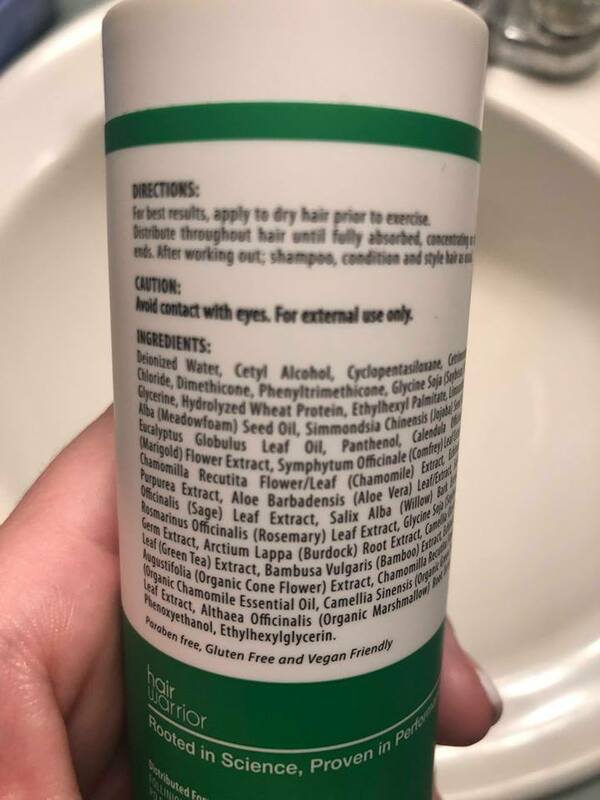 How do you use Hair Warrior? It is SUPER easy. Just pump the desired amount into your hand and distribute throughout your dry hair with fingers/hands. Heads up, a little goes a long way! Since I have pretty long hair, I used about 2 pumps worth. After your sweat-sesh is over, shower, wash hair and style as normal. Pretty easy, right? First, the smell of Hair Warrior is so absolutely pleasant! It is a light and pleasant scent from the blend of oils and ingredients. A lot of hair product can smell chemically and heavy - not Hair Warrior. Upon applying Hair Warrior, my hair was left feeling smooth and fresh and remained so during my workout. My hair was not weighed down like with other hair products on the market and I knew that my hair was getting the TLC it deserved as I worked out. My hair was left without frizz, nourished and full of shine (good shine, not sweaty or greasy shine). I absolutely cannot wait to see the long term benefits! I do so much damage to my hair every single day and I am glad to know that I can keep my hair strong and healthy with just a few pumps of Hair Warrior. Thank you again to the team at Hair Warrior for allowing me to experience the benefits of their product - I am definitely more causious of protecting my hair while working out now. My hair will be thanking you over and over again each time I crush a "sweat sesh". I think it is fair to say that after the past year I am officially sucked into the world of OCRs (obstacle course races). I find myself counting down the days until the next OCR, finding new challenges to take on, and amping up my training to focus more on obstacles. 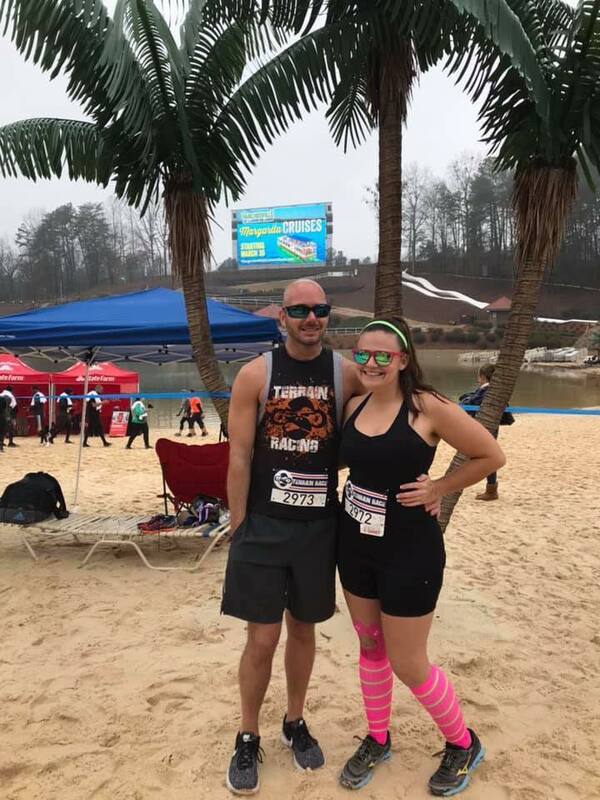 It had been almost four months since my last OCR and I could not wait to conquer some obstacles and get a little muddy with my teammate, Kurt. As part of a promo, Terrain Race was free this year. Well, you had to pay a slight insurance fee which is standard on obstacle course races. I loved this race last year and for just a few bucks to register, count me in! Last June I ran Terrain Race in Conyers, but this year it was up at Lake Lanier. We arrived at Lake Lanier Islands about 1 1/2 hours before our wave time. When you register for Terrain Race, you select which wave you want to run - with the first waves being competitive waves followed by the open waves every 15 minutes. Since we had about a 75 minute drive to the race, we opted for a little bit later start wave of 10:30. We grabbed our bibs and checked out the race site before checking our bags at gear check. They had a pre-race bib pickup the day before the race. While pickup was just about 5 minutes away from work, the hour long line prevent me from getting my bib ahead of time (the line seriously was worse than Black Friday lines). Instead I opted to pay $5 to pickup on race day. Gear check was available for $5 but in return you received a $5 voucher for the merchandise area which was a nice exchange. I really just wanted my clean clothes nearby and would have used gear check anyways, but that was a nice bonus. We got over to the start line about 10 minutes before we started. Here we got our briefing on the course, safety, etc followed by some amping up. Upon starting I quickly realized that this year's Terrain Race was about to be a lot different from the one I ran in June last year. The obstacles were not like last year as there were a lot fewer and they were not set up like last year. There were a few challenging ones like the heavy tire flip (which most people just ran around) and the multi-rig which was fun and challenging, but obstacles like carrying a small log around a 100m loop or dragging a block for 15 seconds filled a lot of the course. One theme of the day was bottlenecks. Lines of 10-15 minutes to carry a 10lb log or walk 20 feet across a log was just ridiculous. I think part of the problem was that there were little or no volunteers helping direct the flow or provide instructions at many of the obstacles. Not only is this a issue because of bottlenecks, but it is also a safety issue as some might not know what to do or if someone gets hurt. To say I was underwhelmed is an understatement. My biggest gripe of the day was safety at the monkey bars. I have never seen an obstacle so poorly set up nor so many injuries happening. The monkey bars were set up in a way that you had to stand on a giant plastic tube (while wet from the water crossing just before it) then put your foot in a ring hanging by a strap to just reach the bars (or you could lache from the tube to the bars). The monkey bars sat 8 feet or so above sand or just a few inches of water (seriously at most it was less than a foot of water). In the few minutes we were there I saw three injuries happen and one was getting medical attention and waiting for an ambulance due to a severe leg injury. I was so thankful that Kurt and I finished uninjured and felt heartbroken for those that were injured by the lack of safety on course. We crossed the finish line and received our bling and shirt. Afterwards we met up with a few friends, got rinsed off, and snapped a few pictures before leaving. Even though the race was basically free, I honestly do not think I will return to Terrain Race again. From the lack of volunteers on course to huge bottlenecks and safety concerns. There would have to be some MAJOR changes before I consider returning next year. I am super bummed about how this race went as Terrain Race was one of my favorites last year, however everything I loved last year were the exactly the opposite this year. 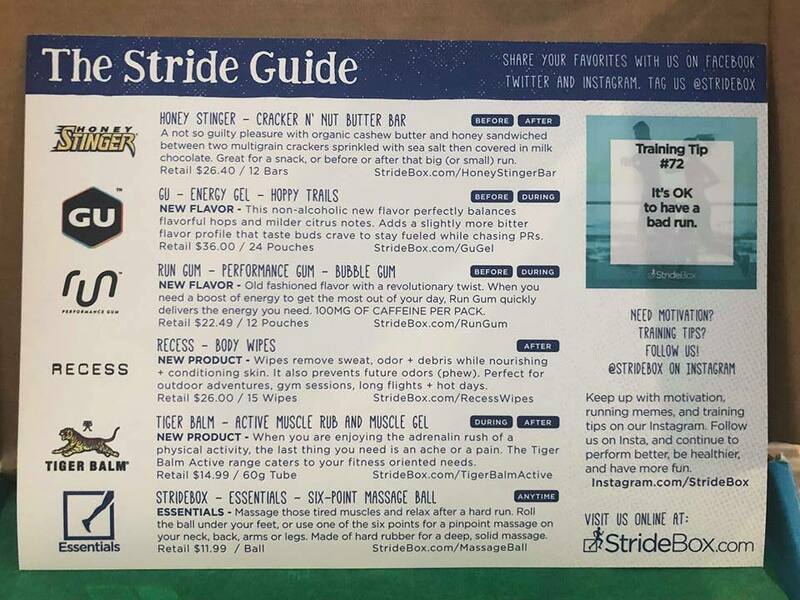 ​One of the cool features of StrideBox is that each box comes with a "Stride Guide" inside. This guide gives you a breakdown of the products as well as information such as when to use the products in your workout/run and the retail price. To be honest, I typically ignore the "Stride Guide" until I am done unloading the box so I don't ruin the surprise. Fact: I LOVE snacks! Between work, running, the gym, and trying to have somewhat of a personal life, I am on the go A LOT. In order to avoid things like vending machines and drive-thru, I try to have healthy snacks with me for when I get a little hangry. ​I am always looking for new snacks to throw in my purse, gym bag, or desk drawer to keep me fueled and ready to go. ​The Cracker N' Nut Butter Bar sounds absolutely amazing packed full of cashew butter, milk chocolate and sea salt. Basically it is all of my favorite things wrapped into on powerful snack. 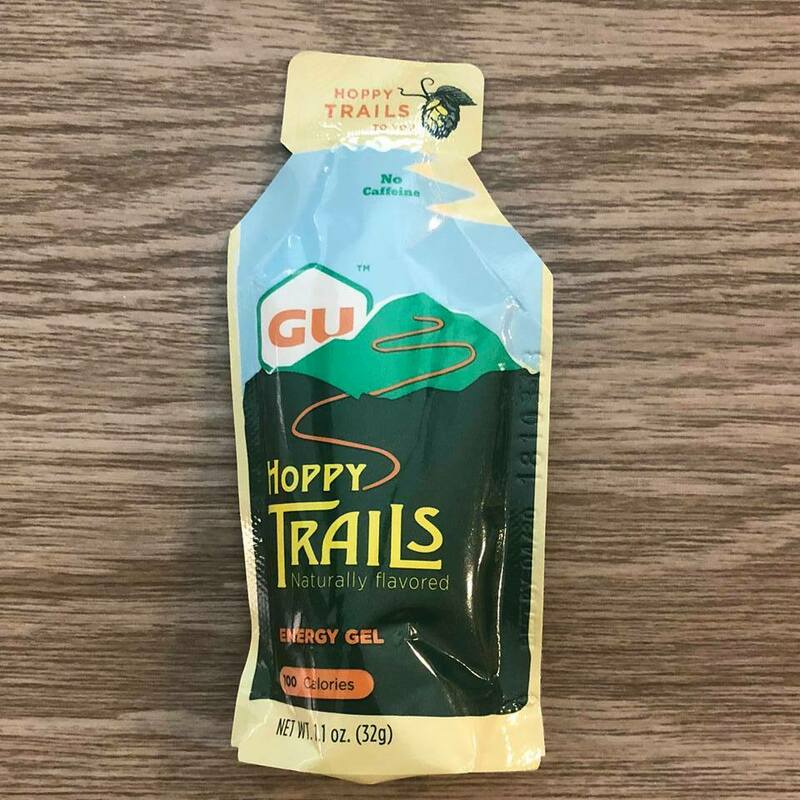 Gu new flavor Hoppy Trails "perfectly balances flavorful hops and milder citrus notes to complement your other GU favorites. We know the longer you’re out on the trail chasing personal bests, the more flavor variety your taste buds crave. So we’re always crafting delicious flavors made up of sweet, sour, salty, savory, and bitter taste qualities." Unlike a lot of runners, I am not a gel girl by any means. There is something about the texture that gets me and I just can't do it, so I have to resort to alternative means of fuel on my long runs. Even though I love raspberry, this is a sample that I will be passing along to a friend for them to try out. Since I can't do gels, I have to resort to other forms of energy/fuel on the run. In the past I have relied mostly nontraditional things like gummies or even hard candy. Yes, I know it is odd. 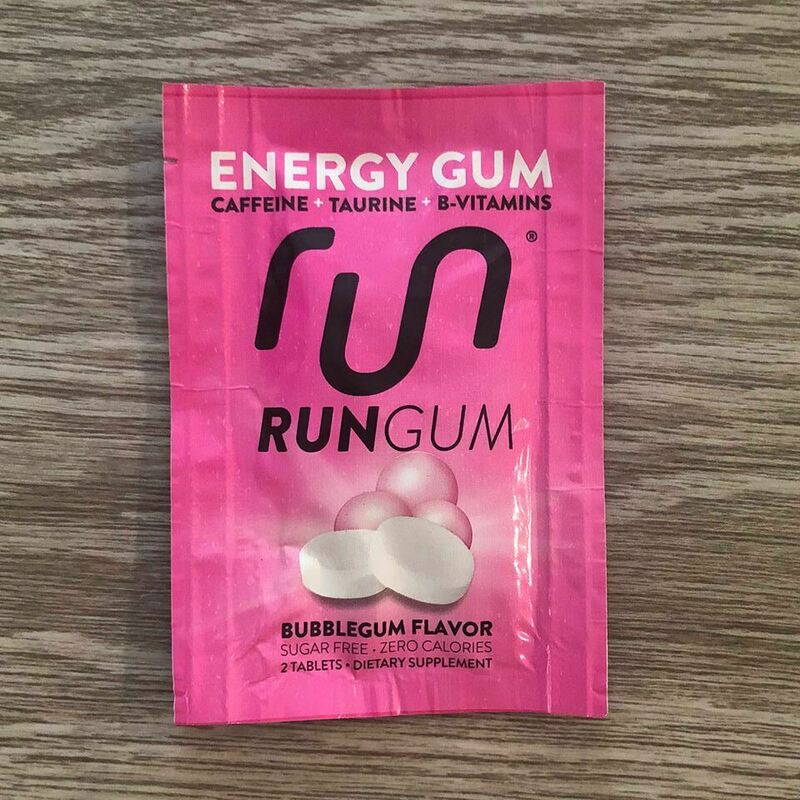 Run Gum is basically an energy gum that has caffeine, taurine, and b vitamins to give you that extra boost as you long miles. I heard about Run Gum a few months ago from friends who absolutely swear by it. I had thought about giving it a try but never got around to it, so this is the perfect opportunity to finally check it out and see if this might be my new race day fuel option. When you are at the gym 4-5 nights a week and run races every single weekend, you are bound to have to run the occasional errand before you can get a shower. 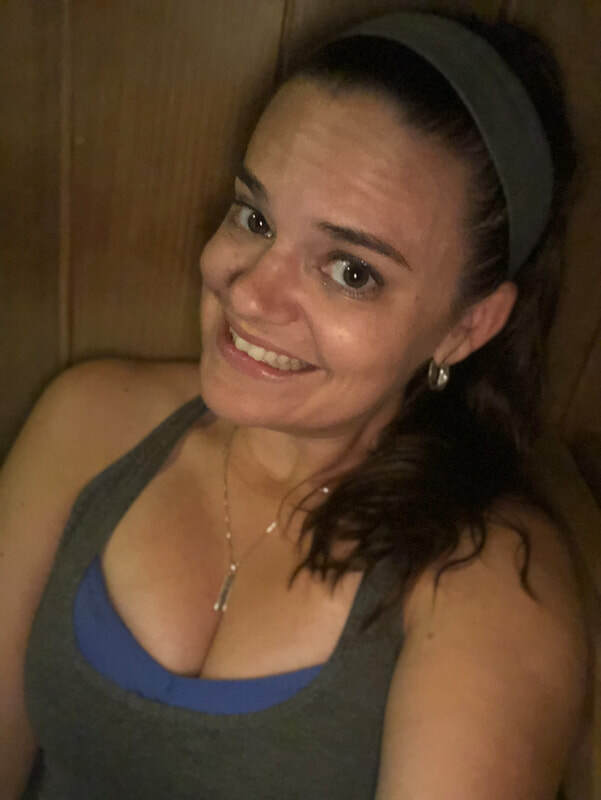 Yes, the gym has showers, but you don't always have time to jump in or want to if you are just running into the store to grab something for dinner. 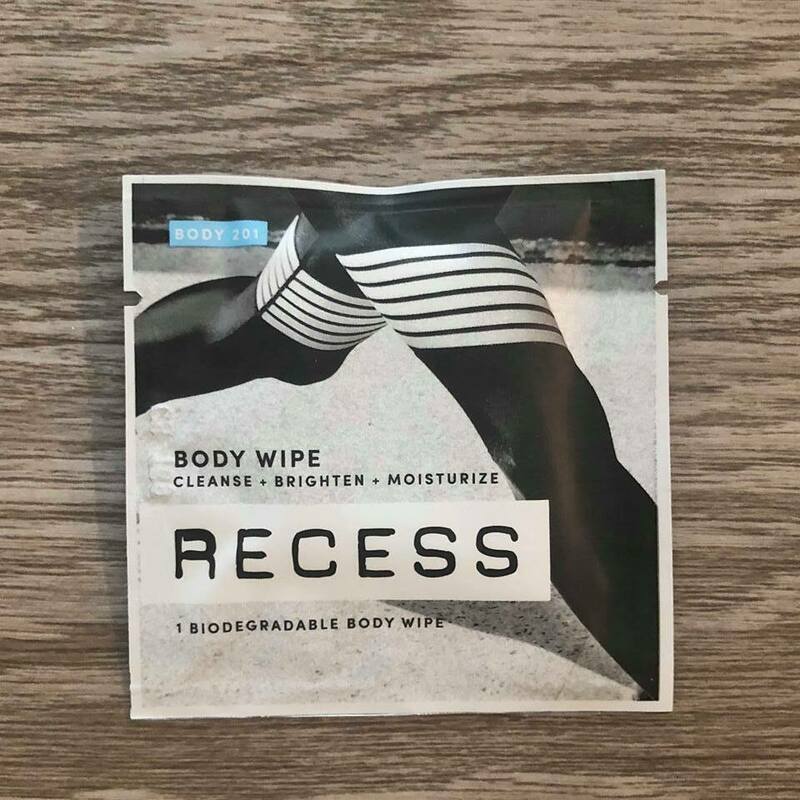 Recess Wipes will be a great addition to my gym bag and race bag. They are refreshing deodorant wipes that let you freshen up a bit so you aren't too offensive to other patrons during those gym/run errands. I have seen Tiger Balm on social media over the past few years and have never had the chance to try it out. With two different pain relief options including patches and cream, Tiger Balm looks to be a great pill-free relief for those hard-worked muscles after a tough workout or long run. Let's just be real, I get plenty of those aches and pains, so having some options in my running bag and gym bag is always a plus. Foot care is one of the biggest maintenance and recovery tools for runners. 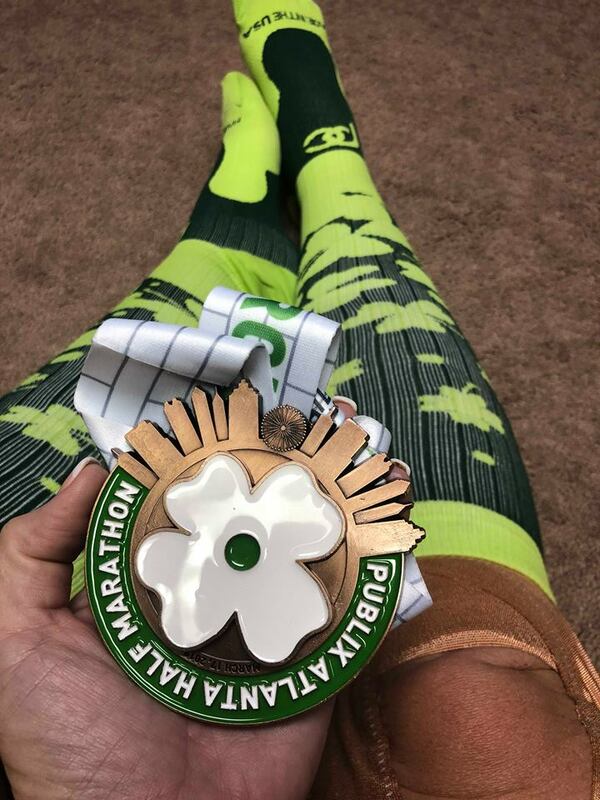 I am constantly looking for new and better ways to give my feet the attention that they deserve - after all, I put a lot of miles on them and I need to thank them for all that they do. 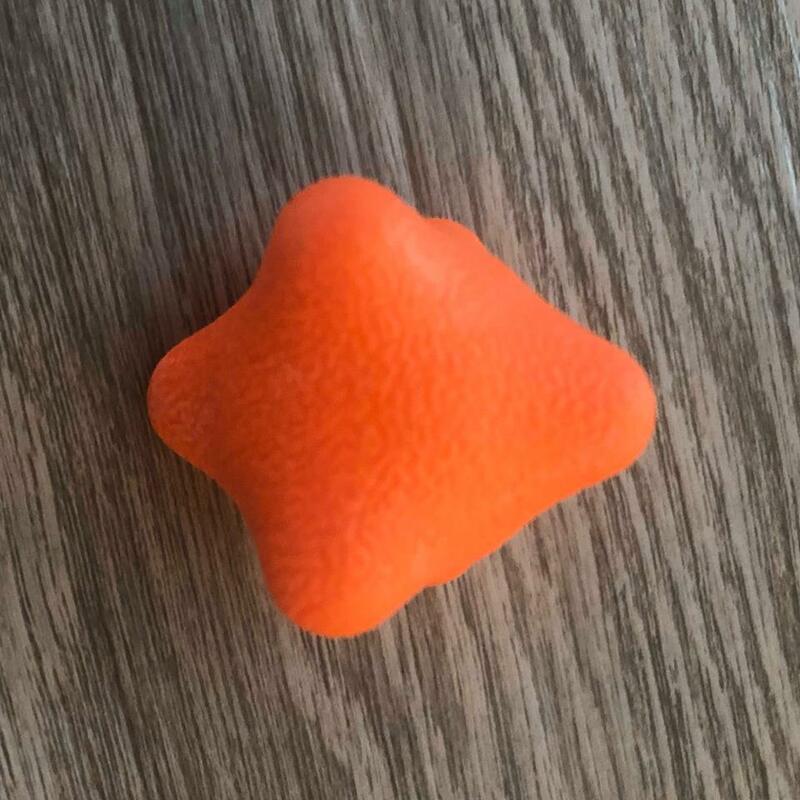 While the StrideBox Six-Point Massage Ball is intended for full body use, I absolutely cannot wait to use this to help treat my feet to a little massage between runs. I also think that my shoulders will also really enjoy this as well. Foam rollers are big and not very transportable, so this is great for throwing into my bag for after a run/workout or suitcase when traveling. 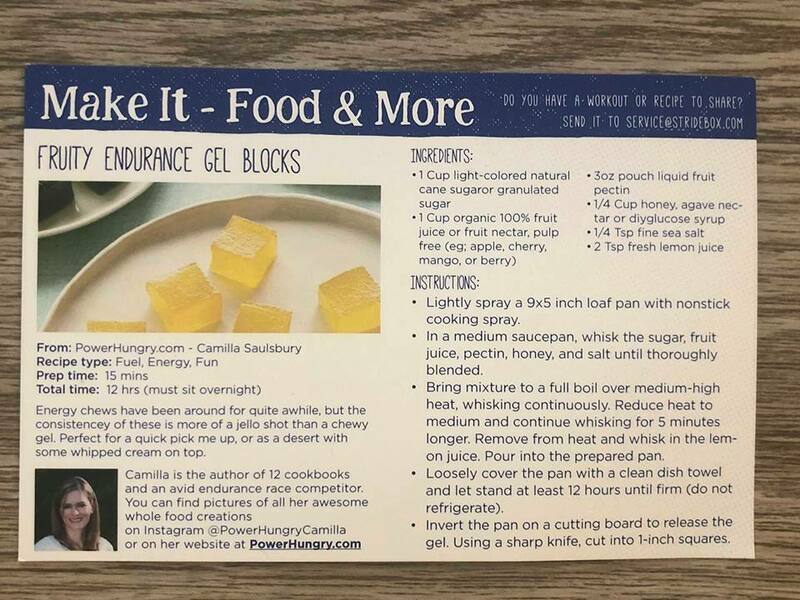 One final thing included this month's StrideBox was a recipe for "Fruity Enurdance Gel Blocks" from Camilla Saulsbury at PowerHungry.com and a glute workout from Coach Debbie Runs. 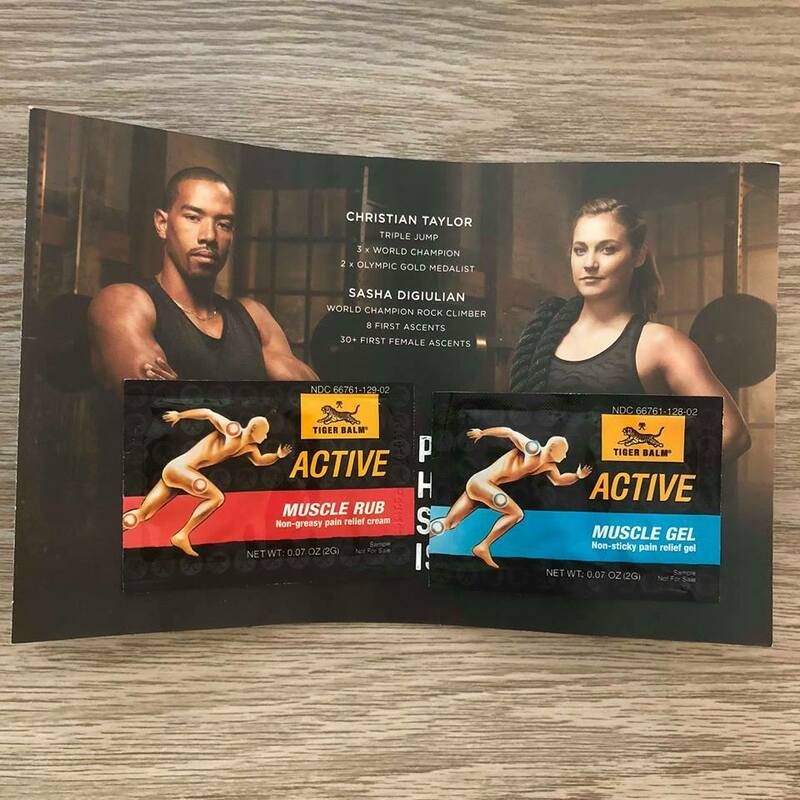 This was definitely a nice little bonus to check out and I cannot wait to try both of these out soon - that workout looks so fun! ​​​​​​​​​Question of the Day: Have you ever tried a subscription box? 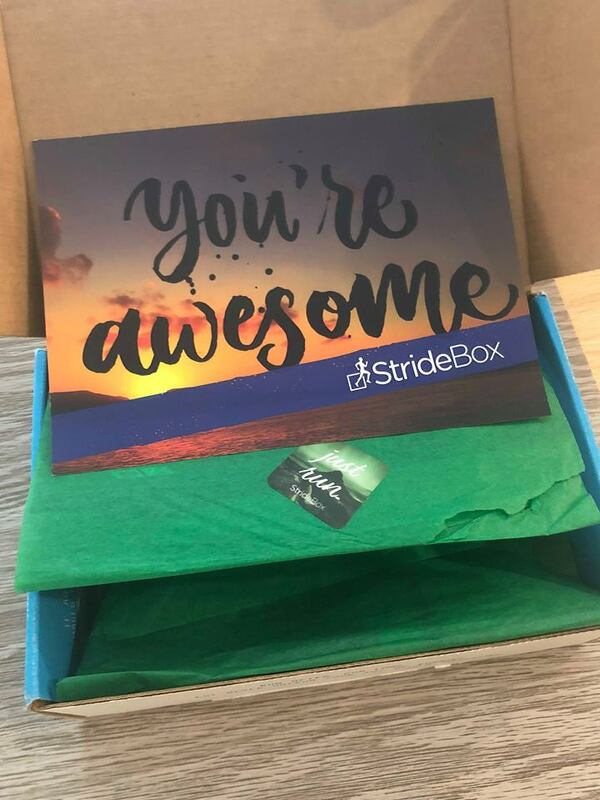 What kind of products would you like to see in an upcoming StrideBox? I can't believe it is already the end of March! Where has time gone? 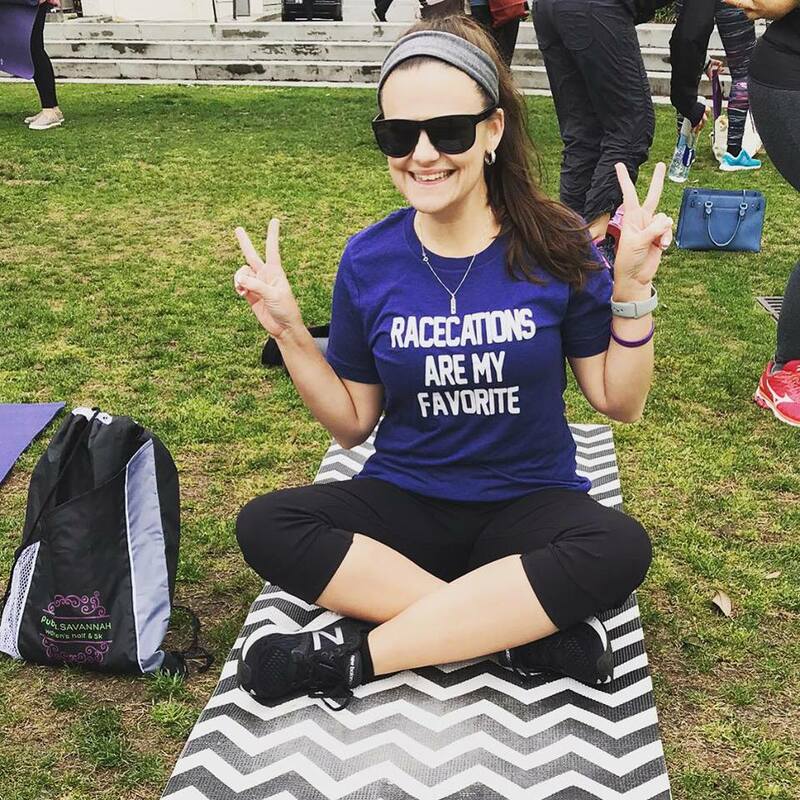 How are you race goals for 2019 coming along? How about saving some cash when registering? 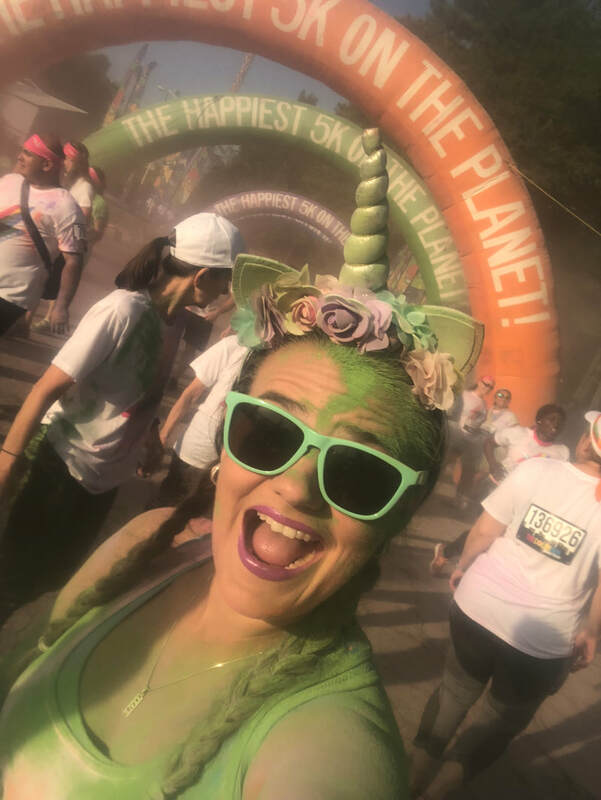 Here are a few of my favorite races coming up in early 2019 along with some sweet discount codes to help you make your race budget go a little further. ​One of my absolute favorite races of 2018 was the Savannah Women's Half Marathon & 5K. I can't say enough good things about this race. From the organization to the beautiful course and the little "extras", it is great race weekend for sure. PLUS, Savannah is absolutely gorgeous in the Spring! 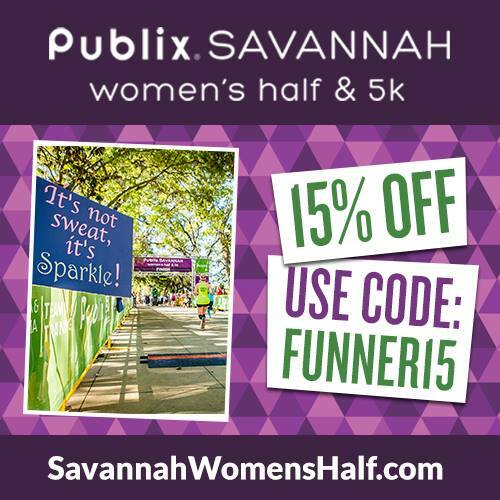 If you are looking for a great girls racecation weekend, a spring getaway with your family, or any other reason to head to Savannah in April, be sure to check out the Savannah Women's Half Marathon & 5K. Code FUNRUN15 to save 15% on your registration (valid on 5K and half marathon)! 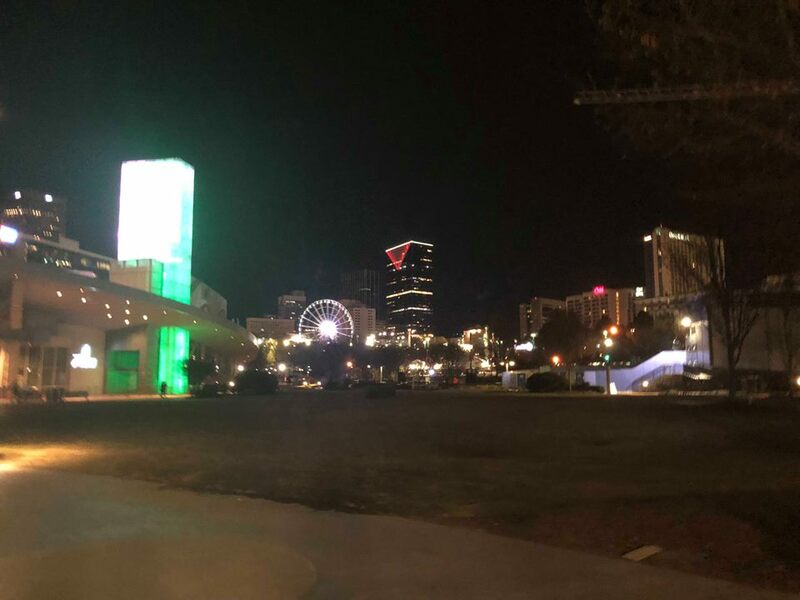 Hotlanta 1/2 Marathon returns to Atlanta for a 6th year in 2019! Yes, it will be warm (and possibly hot), but hopefully a date in the early summer will lead to a little bit cooler temps. Regardless, this race is always on point with great course support and proper hydration stations along the way. Oh, and the bling has been some of the absolute best (and gets better each year), so don't miss out. ​​Question of the Day: What races are you looking to add to your 2019 schedule? 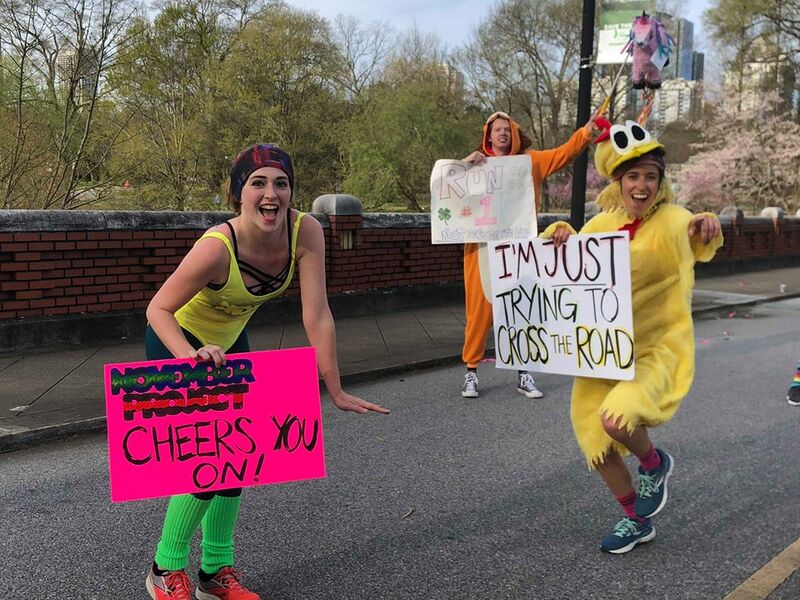 The Pittsburgh running community really rallies behind Pittsburgh Marathon weekend and there are a number of training groups, group runs and more that help provide support to those running any of the events on May 4-5, 2019. 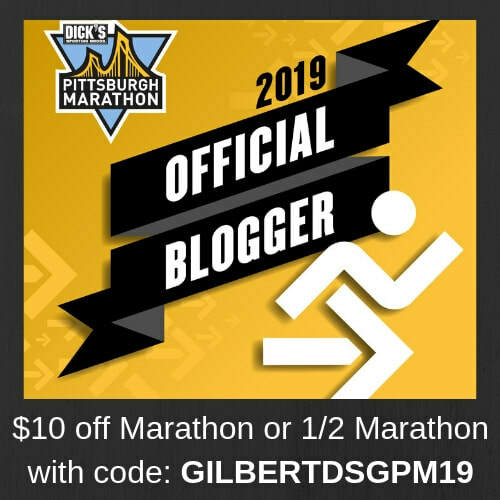 Going into year five of running the Pittsburgh 1/2 Marathon, I always get asked about how it is training for a big race like this without actually living there. So what about us out of towners? How can you stay motivated and receive support from the the Pittsburgh running community? Well, with a new partnership with Zwift, runners in and around Pittsburgh as well as those living outside of the Pittsburgh area can all come together and train "together." ​P3R has recently partnered with Zwift to offer a FREE virtual training program that gamifies your training and connects you with other runners from all over the world. With Zift, you can turn your solo treadmill run into a run with real-life training partners who can keep you motivated and stick to your training plan. Whether at home or at the gym, getting up and running is simple. All you need is a treadmill, footpod, and a device to run Zwift. Or, hop on a supported Bluetooth treadmill for a seamless experience. Watch the video for more. Run in the real world and power your avatar across our virtual courses. Discover our fantasy island of Watopia and explore routes inspired by Central London and Richmond, Virginia. The landscape in Zwift is epic. Run through the jungle, improve your speedwork through the countryside, and sprint inside a volcano with thousands by your side. Our elite coaches craft workouts to make you the runner you want to become. Programs are tailored to your fitness level and easy to follow, taking the guesswork out of training and making it fun. Whether you’re prepping for a 5K, half marathon, or triathlon event, your training needs are covered. Head out solo or join a group workout and dig into post-run metrics to have your best season yet. Running with athletes across the world is at the heart of the Zwift experience. Choose between hundreds of events — from fun group runs to intense races with real prizes on the line. Find your friends and run laps with them in real-time, by connecting to third party apps like Strava and Garmin Connect. The Zwift community keeps you motivated to stay on course and finish at your best. Create a Zwift Run account by clicking here. Download the Zwift app on your iOS device. Make sure you have the gear you need. You can hop on a Bluetooth-supported treadmill for a seamless experience or use a treadmill, a foot pod sensor and an iOS device to stream the Zwift Run platform. Get ready to MOVE! 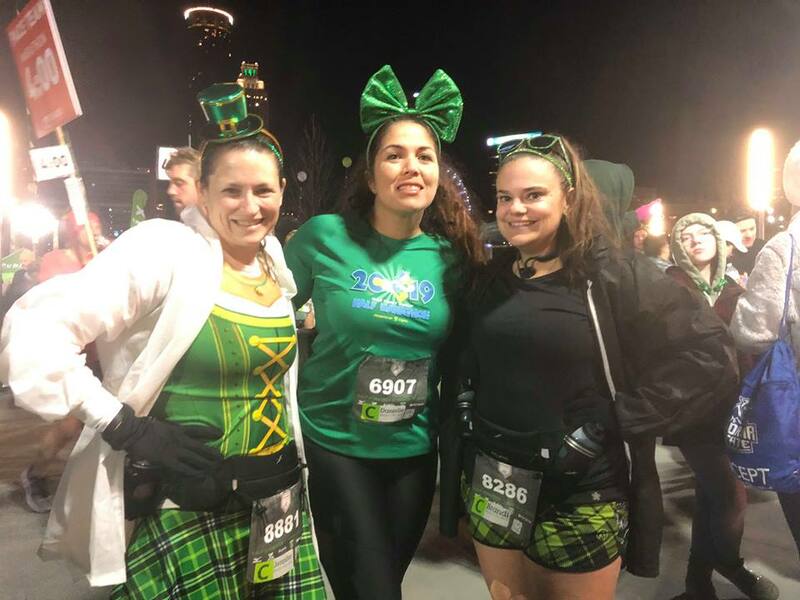 Choose from hundreds of virtual events or join one of the weekly group runs with other runners training for Pittsburgh. The first steps of using Zwift is downloading the Zwift app and setting up an account. Downloading the app and setting up an account were really simple with step by step prompts. Next I had sync up my Zwift RunPod (which was also very easy to do) and attach it to my shoe with a quick twist to clip it onto the laces. Once you get set up on the app, there are many things that your Zwift can do while you are on the treadmill. You can run virtually through New York, track your accomplishments, follow workout and training plans, and unlock achievements to keep you motivated. For $30 the Zwift RunPod is a great tool and comes with great training plans for those that want to stay motivated and follow a structured plan without the high costs of a coach or with schedules that might not allow you to attend local group runs. The clock is ticking down to race day! Who is ready to CRUSH some bridges on May 4-5? With the help of my Zwift, I feel right on track with my training! I hope to see you all there! ​Pittsburgh Marathon or 1/2 Marathon and you will save $10! ​Bonus: Once you register for the marathon or half marathon, you will receive a discount code in your registration email for $10 off of the 5K! Now, who is joining me and becoming a Runner of Steel? GAME ON!